Huawei Ascend Mate: features with 6.1-inch HD display, which looked clear and colorful in very brief time with the phone. Huawei Ascend Mate is the largest screen smartphone now and no doubt that it is a Phablet. It has an 8-megapixel camera, a front-facing camera, and a microSD card slot. The most impressive feature for Ascend Mate is it runs with a 4050mAh battery, which Huawei claims can provide 48 hours of power. This battery capacity, by the way, smashes records. Up until now, Motorola's Droid Razr Maxx has been the reigning champ with a 3,300mAh battery. Ascend D2: smaller at a 5-inch screen, but it also has a 3,000mAh battery and that 1.5GHz quad-core processor. Also, it comes with a more powerful 13-megapixel camera. The standout feature, though, is this device's resolution. At 1080x1920 pixels with a pixel density of 443ppi, this device's screen specs are even more impressive than Samsung Galaxy S3's and iPhone 5's. Both Ascend D2 and Ascend Mate earned positive even great comments in CES 2013 and both will be launched in America soon. Huawei is one of the giant telecommunication manufacturers in China. Ascend Mate is with the largest screen and Ascend D2 has the outstanding screen display, both can be used to watch videos on hand and that would be a great enjoyment! How to transfer your favorite movie DVDs to Ascend Mate or Ascend D2? Here we provie the best tool for you - Any DVD Cloner Platinum. Any DVD Cloner Platinum is a DVD to video conversion tool that enables you to convert DVD with copy protections to three commonly used video formast including MP4, M4V and MKV. Convert DVD to video formats that are supported by Ascend Mate and Ascend D2, then DVD movies can be watched freely on both handsets! In short, users just need to convert encrypted DVD movies to MP4 or H.264 video codec files, then can watch movies on Huawei Ascend Mate or Ascend D2. How to convert DVD movies to Huawei Ascend D2 or Ascend Mate? 1. Launch Any DVD Cloner Platinum, and insert DVD disc into DVD drive. 2. Click "Open DVD" to load DVD titles in the program. 3. Choose "Normal" as output option and MP4 will be selected as output video format. 4. 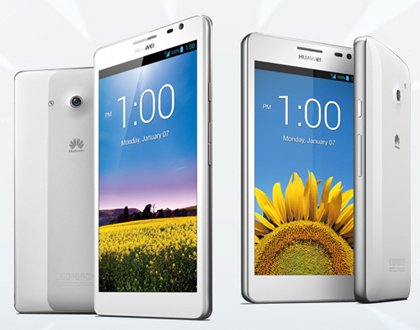 Choose titles you like to convert to Huawei Ascend D2 or Ascend Mate. 5. Click "Start" to make the conversion begin. Wait for a while, the video will be generated successfully. Transfer it to Huawei Ascend Mate or Ascend D2 and then you can watch the movie with phablet freely.